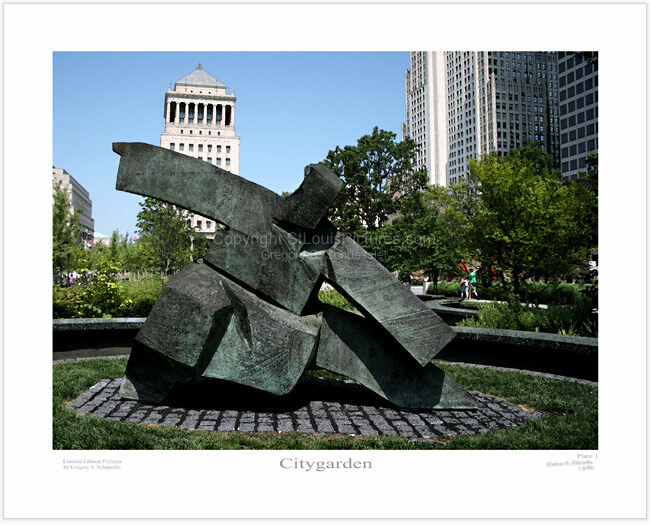 This picture displays a larger than life bronze sculpture in downtown St. Louis at the Citygarden. The scuplture depicts a faceless Tai Chi practitioner in a basic pose known as Single Whip. The artist, Ju Ming, studies Tai Chi Chuan, the Chinese martial art that originated nearly 1,000 years ago, and has sometimes been described as moving meditation.